I have tried this recipe with using just peanuts and grinding my own butter, and also with a jar of peanut butter. The version with the ground nuts wins hands down over the already made peanut butter which I suspect is due to the oils added to the jar. The short story is make your own peanut butter. It’s just so simple to make and delicious too. Throw a couple of cups of peanuts into the food processor, blitz until you have a butter. You can sweeten it to your own taste without any nasty additives thrown in. These are currently the number 1 cookie recipe in our house. What amazes me is just how easy they are to make. Although I add high cocoa chocolate chips to the mixture, these cookies would be just as delicious without them and perhaps some added seasoning. Cinnamon perhaps? They are just lovely the next day and seem to firm up when left in the fridge, keeping their soft centre. The joy of cookie baking using nut butters! 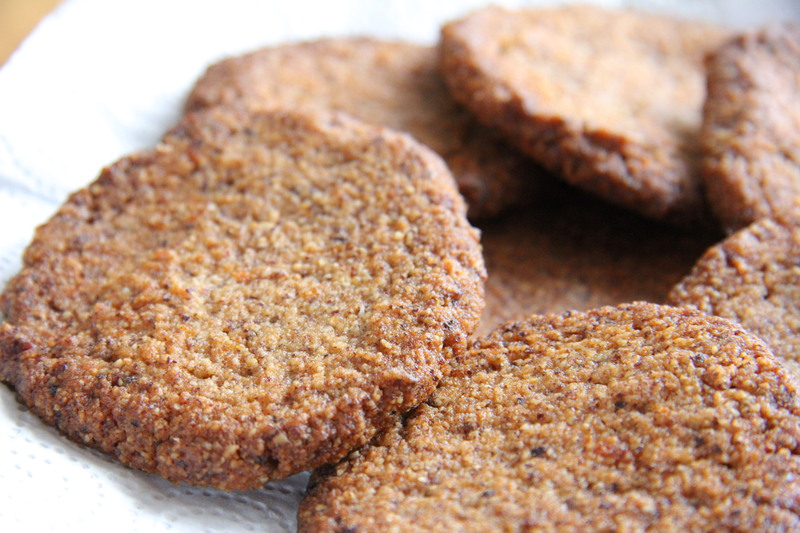 Gluten free and low carb goodness in cookie form! 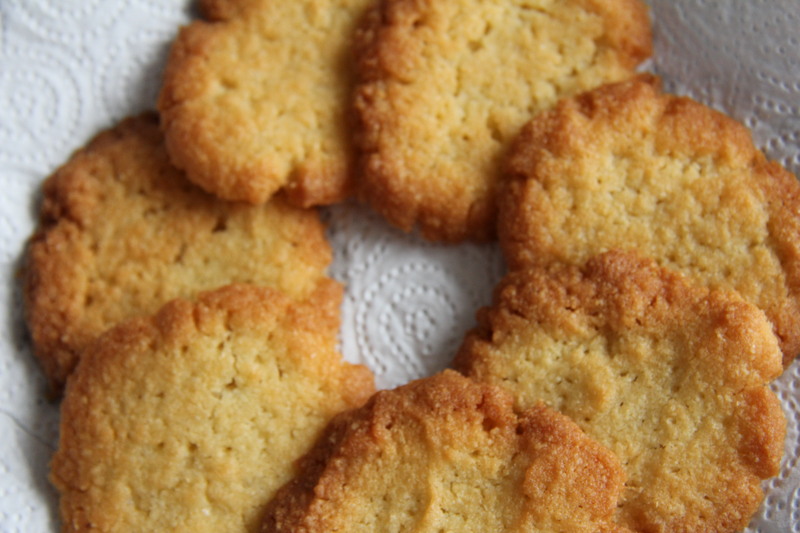 These are soft, buttery cookies which are almost like shortbread. However, I think these would be lovely with other flavours, such as lemon. The mixture is so easy to make, you could let your young children whip up a batch. Then eat them all whilst they look on hee hee!